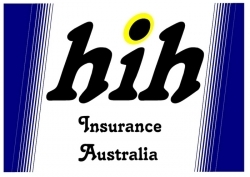 The newly formed HIH Insurance Australia has been resurrected. Sydney, Australia, January 26, 2017 --(PR.com)-- The new HIH insurance Australia will be in operation later this year. It will primarily be a brokerage company using underwriters. The focus will be on a niche sector of the market which fits into today's insurance needs. Such as insurance protection for individuals and companies from litigation arising from social media and the internet. Uber drivers, Air BnB hosts, and many more new age covers people haven't thought of obtaining in which they can end up with huge legal costs, or their standard insurance won't cover them. The new HIH Insurance Australia prior to starting trading is already estimated to be worth $60 million AUD this is based on an discreet and confidential offer made to purchase the company before it starts it's operation from an overseas firm. It is also due to the company structure and policies. All the staff will be trained in basic counselling as most customers that put a claim in need this resassurance that their insurance company cares. The newly resurrected goal is quality not quantity. The new HIH insurance Australia came about after what the managing director and former TV actor Alex Haddad recently went through. If there was insurance available for the misfortunes he went through he would've been protected. Office locations will be in Sydney's Silverwater and also an operations office in Melbourne which is also part of the existing assets of the company. HIH Insurance Australia are really hoping to help people take out essential covers just in case things go wrong. A small price to pay for peace of mind.